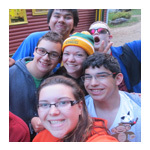 Home » Want to Be a Camp Counsellor This Summer? Want to Be a Camp Counsellor This Summer? Thank you very much for your interest in working as a camp counsellor, activity staff, head staff, or a medical position at Camp Kennebec this summer. If you want to see what it’s like to work at camp – please watch the video we produced for prospective staff members. Our camp counsellors, head staff and medical staff are key to making a Kennebec summer successful. Many of our staff members return to Camp year after year, finding it a fun and very fulfilling way to spend the summer. As we hope you can appreciate, it takes a special kind of person to work with children, teens and young adults at a summer camp like ours, where campers have special needs. 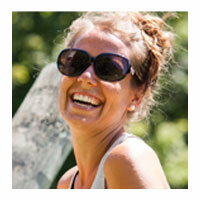 Many of our cabin counsellors are caring, responsible and enthusiastic university and college students. Others are teachers, or other people aged 18 or older who have the summer free and would like to work as a counsellor at our summer camp. Not all have had experience working with kids and teens with special needs. What they do have is empathy, a sense of humor, patience and a strong desire to give Kennebecers the summer of their lives. Our staff love the whole unique Kennebec experience including: the silliness, laughter, bonds and friendships made at an overnight summer camp; living in the country; being physically active and most importantly, the joy that comes from celebrating campers’ achievements — and knowing that staff played an important part in campers’ successes. If you would like more information or want to be a camp counsellor at Kennebec this summer, please apply online. For senior positions, our ideal candidates not only have experience working with children and teens with autism, ADHD, special needs and other challenges, they also have experience and a degree/diploma in psychology, social work or education. Certifications like ECE, DSW, OT, CYW or PSW are an asset. All prospective staff members must supply a current police background check including what is known in Ontario as VSS – Vulnerable Sector Screening, prior to starting work. Here is a link to the Toronto Police Services VSS web page if you would like more information. For staff members who live outside the Province of Ontario, you will need to provide Camp with the VSS equivalent in your jurisdiction. We accept resumes year round for male and female camp counsellors, head staff, nurses, nurse practitioners, paramedics and physicians. Camp Kennebec is committed to employment equity and encourages all qualified candidates to apply. If you require an accommodation at any point during the hiring/employment process please let us know as we will work with you to meet your needs. All responses will be handled with strict confidence. We thank all applicants for applying however, only those selected for an interview will be contacted. There is nothing quite like leaving your family and friends to go to another continent, to a place you don’t know, with people you’ve never met. It’s the hardest thing I’ve ever done but I wouldn’t change it for anything. You asked what camp means to me? It means a group of people, who would probably never normally speak. It means all the late nights and the early mornings, chugging coffee to keep yourself going. It means having the hardest days with people who are practically strangers. And it means the best time of your life. Camp is full of firsts, full of moments. It’s a place where you can be having the worst day and something good is almost guaranteed to happen. Camp creates bonds that are so strong, yet so simple. It creates a family for you in a way that you could never imagine. That’s what camp is: a family. A family made up of a lot of strangers who quickly become your world, with you for all the good and all the bad. And that’s thanks to you guys. You make Kennebec what it is and I’ve never been so grateful to work anywhere, let alone return. So for that, and for a million other things that I’ll never be able to list, thank you. I feel that I should thank you both for everything and tell you why I had an amazing summer. Camp Kennebec taught me a lot about myself and what I hope to do in life. The support of all the senior staff and other counsellors was incredible. I have never been in such a supportive and welcoming environment. I appreciate all you both do to create this incredible atmosphere. Being in the Fireside 2 cabin for six weeks truly made me a better person. I miss waking up to all the campers, spending Friday evenings before the dance doing the girl’s hair and minimizing the drama. I look back on the summer and smile because I know that I did find that Kennemagic. I thank you both for a summer that was unforgettable. You have both made Camp Kennebec the most inspiring and supportive place I have ever been. I can’t thank you enough for providing me with an experience that I know will be with me forever. I’ve had ample time to reflect on camp, and I wanted to sincerely thank you both for allowing me the pleasure of working at Camp Kennebec this summer. I am reminded of all those magical camp days by memories I know will never ever fade, and I miss it so very, very much. The hardest thing has been summing up the entire eight weeks when people ask “how was camp”, and every time I say that although there were ups and downs, it was the most magical, beautiful place in the world. You are both truly two of the kindest, funniest, and caring people I have ever met. I cannot thank you enough for all you have done, and continue to do at Kennebec. It was the endless list of activities that brought me to Camp Kennebec the first time. But it was the unbeatable staff and campers that brought me back each year. The look on the campers’ faces when they arrive mirrors the excitement I feel after waiting 46 weeks for the next “first day”. And the look on their faces as they leave reminds me why I keep coming back. It might be sad to say Goodbye, but nothing beats the next HI! At first I wasn’t sure what I was getting myself into. I wasn’t even sure what it meant to work at camp. But helping my campers achieve more than they ever thought they could, is such a great feeling. I’ve always wanted to work with kids and teens who have special needs – and I’m so glad I chose to be a camp counsellor at Kennebec. The staff are great – committed to making the summer wonderful for all. The weeks flew by in no time. I wasn’t sure what to expect my first summer. Once I got here, I quickly realized how special this place is. Staff members are great. The head staff and directors are really supportive. You really bond over the summer and laugh a lot. But it’s the interaction with the kids that is so rewarding. I don’t have a psych or education background – so I wasn’t sure I’d be a good camp counsellor – I quickly realized that all you really need to succeed at Kennebec is empathy, a sense of humour, commitment & patience. This has been my best job ever. Until you experience a summer at Camp Kennebec, it’s very hard to explain what it’s like to work here as a camp counsellor. At Camp Kennebec, you get all the benefits of being a camp counsellor that you would at a mainstream camp – 9 weeks in the country, all your living expenses paid for the summer, a lake to swim in, a fun work environment and deep bonds and friendships with staff that you wouldn’t get anywhere else. 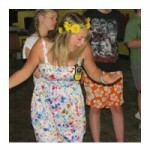 But at Camp Kennebec you get so much more from the camp counsellor “job”. At Kennebec you really make a difference. For many of our campers, Camp is the place where they are truly happy. There is no school or social pressure. It’s the place where campers learn to be independent, experience all kinds of new activities and situations and significantly improve their social skills. And as their counsellor, you are their guide to mastering these new skills. There is no way to describe the sense of happiness and accomplishment you will feel when your campers develop the courage and confidence to sing in the talent show, make a new friend or try water-skiing. Ask any Kennebec staff member and they’ll tell you how much they cherish their summers at Camp Kennebec.